This morning, David Cameron, interviewed on the Today programme, spoke of that old chestnut - the "breakdown of our society", with particular reference to young people and schools, and what might be done to address the problem. The answers were predictably uninspiring. It's clear to anyone working with the elderly that CENTRAL to the problem is the fact that old people and especially the oldest old are nearly invisible to, and very isolated from society in general. We live in a multigenerational society, yet there is little evidence of it around us. Sometimes it's hard to believe that there are 1.1 million people over the age of 85 in this country. It is also true that in general, and for a variety of reasons, younger people just don't have enough contact with them. How can children learn from and find pleasure in older people - and vice versa, when neither group has little idea about the lives, needs and outlooks of the other? So here are three simple suggestions for you (and all other politicians who grapple with these kinds of issues) to consider, David. Bring children and older people together for joint activities in a school environment, to promote more positive attitudes and improve stereotypes. Studies show that children, adolescents and older people develop generally more positive attitudes and stereotypes of one another when they talk, get to know and understand each other. All age groups also express - sometimes with surprise, the pleasure they get from this contact. Develop consistent, regular, meaningful activities for younger people throughout school, with older people. 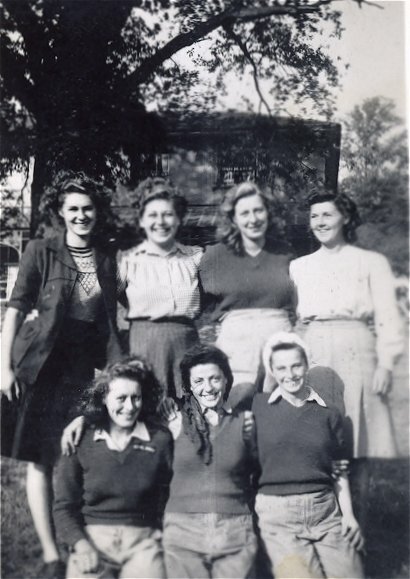 For example, schools could invite older and elderly participants in to help develop recent-history plays, creating books of biographies and reminiscence stories allied to the curriculum, alongside the pupils. Older people could exchange skills with the young people - eg knitting or sewing for computer skills; social history for new music making, and so on. Old people with simple craft skills could be brought into schools to help pupils make Christmas or other festival gifts for their older relatives. Or the they could make useful items for either group, based on the skillset of the other. Programmes of this sort have shown statistically significant improvements in children's attitudes toward older people, and demonstrated that multidimensional projects can improve children's views of growing old. Finally, schools could develop projects that focus on what children think they'll be like when they are old, based on thir experiences with older relatives, friends or neighbours. This would help them to empathise with and understand the issues that face the elderly, as well as providing opportunities to consider the cultural implications of age and ageing. A project like this could highlight the big issues and show how attitudes need to change. 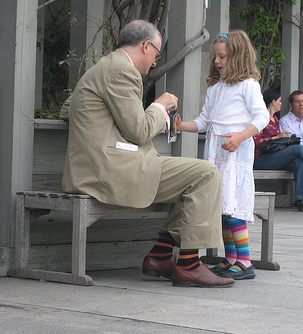 The ideas are hardly rocket science, but it's astonishing that so few younger people ever talk about getting old, how seldom they and old people get together for meaningful exchange, how little real contact between young and old there is in schools, and what little recognition there is of how valuable and pleasurable contact between them can be. - not so very different to how many young people would be now. These are the lives we forget they had. "In a dismal performance at Hammersmith Town Hall this evening, the Tory cabinet agreed to end home help services for more than 500 older and disabled people. Many more vulnerable people face losing their home help service later this year in the latest Tory cuts. The disgraceful decision was matched by the Tory councillors' ignorance about the impact of the home help cuts on older and disabled people, who will be affected, how they can appeal against the removal of their service and what alternative support they might be able to use. Tory leader Cllr Stephen Greenhalgh kept repeating that the Conservatives were making the cuts "with great regret". He and his fellow Tory cabinet members showed no signs of regret for the hundreds of people who will be left isolated and at risk without a home help service. Just to pay for a small council tax cut." * hfconwatch.blogspot.com is a blog that tracks Hammersmith & Fulham new Conservative council's cuts to social services for the elderly. There isn't much that's social in Social Services. My 91 year old friend who was in hospital for a month after a fall in her kitchen, is home. Good news, you might think. 'You'll miss the companionship of the day room there' I suggested. 'Oh YES', she said, 'it's going to be a bit lonely back at home'. This is a masterful understatement. The day room at the hospital is - unsurprisingly, populated with people with broken bones, recovering from hip replacements, being treated for strokes, and other typical elderly health problems. The ambience is warm and friendly, and the bonhomie between the patients is cheerful. Even if they have a moan about the lack of local services available when they leave, they are ridiculously grateful for anything they're given. So, from now on, thanks to Hammersmith Council - (who only 6 weeks ago had decided that my friend could cope on her own without any assistance after three years of help, and so cancelled her half-an-hour a week cleaner); she will now get an hour's help daily, getting up and coming down the stairs and going to bed, and back up the stairs again (at times of their choosing of course); and Meals on Wheels. For the intervening eight or nine hours, she will be alone, unable to move around without a Zimmer frame, unable to do more than make herself a cup of tea of a slice of toast, unable to go upstairs, unable to go out shopping or out anywhere on her own, come to that. The TV her only companion. 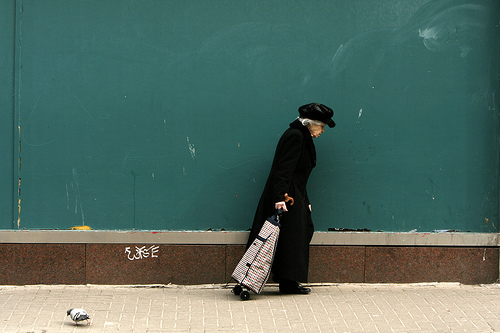 Loneliness is rife among the elderly especially those living alone. Frailty traps people indoors, as does fear, anxiety, arthritis, dementia and other conditions associated with the elderly. Many older people live some way from their family or friends, even if family are nearby, these relationships don't necessarily provide the warmth and companionship that they might expect or hope for. And there isn't much that's social in Social Services. Caring is not linked to friendship, so once the chores have been completed or the meal delivered, hours of being alone stretch ahead for older people every day. Among the oldest old, who rely on other people to do just about everything they need to get them through the day and are otherwise on their own, loneliness is rife. Contact the Elderly does an amazing job in this area. With 4,500 volunteers across the country, once a month, some of the oldest people in our towns and villages are taken out by volunteer drivers who fill up their cars and go to a host's house for a traditional Sunday afternoon tea. These events are always fun and interesting, for everyone involved. For many of the elderly, it is one of, and probably the only outing in the month they have to look forward to. My 91 year old friend will be with us as usual next Sunday. Everyone will be really pleased that she's back. A report by the charity Counsel and Care has revealed that hundreds of thousands of older people face steep charges for home-help. Despite Sir Derek Wanless's influential report last year, which called for a major increase in Government spending on home help services, councils are increasingly cutting back on elderly people's basic needs, such as meals-on-wheels and vital help with dressing, cleaning and shopping, leaving thousands of frail and vulnerable people facing a growing financial struggle to live in their own homes, where they are both happier, and cheaper to help. For many, the only alternative will be moving to a residential care home, where the council only pays the bill once they have exhausted residents' savings. Sir Derek accused council social services departments of trying to push the elderly into care homes in order to grab the value of their property. Now, only one out of three social services departments provide free help at home to more than those deemed "critical" - the most dependent and disabled householders, and last year 15 per cent more councils started restricting free services. Local government chiefs warn that 400,000 people will lose free help at home by 2009. People forced to pay are charged an average of more than £160 a week, with some town halls demanding £320 - roughly the average weekly income for retired couples. Frail pensioners have few choices, no voice and little or no way of preventing this abuse of their human rights. This dishonest exploitation of defenceless people amounts to little more than theft. These are people who have paid taxes all their long working lives, and not unreasonably, expected to be cared for properly. Over 700,000 people are mistreated by carers in this country every year. Clearly, many local councils should also have been included in these figures.